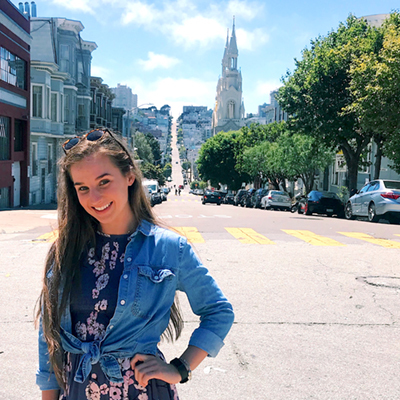 Naomi Raczkovi of Beaumont, was able to take a part in San Francisco Partners in the Park June 25-29, thanks to support from Lamar University’s Reaud Honors College. The trip, “Partners in the Parks–Golden Gate National Recreation Area,” was co-sponsored by Tacoma Community College and the National Collegiate Honors Council. 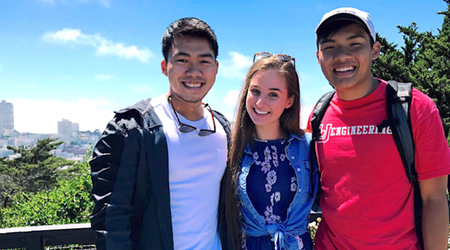 Raczkovi, a sophomore nursing major at LU, says she is, “so grateful for the Reaud's Honor College for helping her fund this trip.” Edward Doan and Luke Nguyen, joined Raczkovi on the trip to study the relationships between national parks and the effect the proximity of San Francisco has had on them. “I truly still cannot believe I had the opportunity to do all these things and to see the sights I saw, but the memories will always be appreciated! The San Francisco Partners in the Park was such an extraordinary experience and a trip I would do over again if I could,” Raczkovi said.